I was born in 1951. 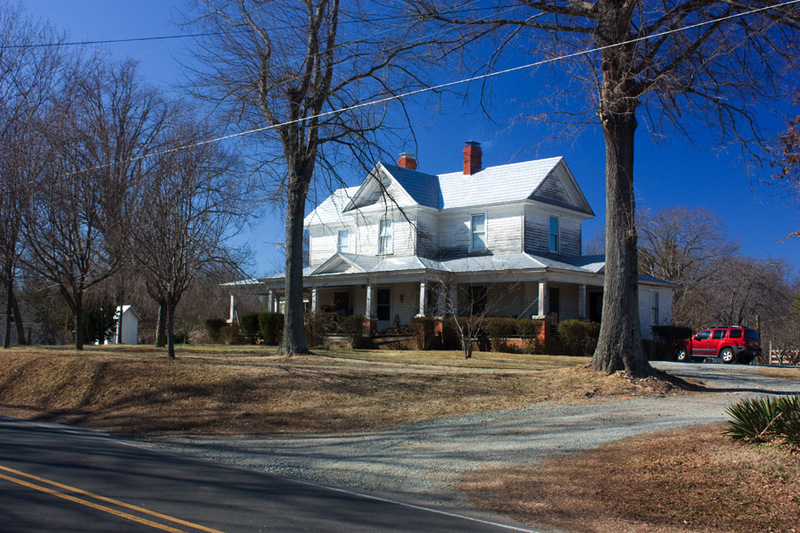 At that time my grandfather Frank R. Clayton owned this house along with his wife. This home apparently belong to James Young at one time. At the present 1/12/2014 this house is owned by my 1st cousin Layton S. Oakley and wife Mary. My grandfather had a play house in the front yard on the left side of the house that I played in along with my cousins. In its day it was a beautiful home and very well kept by my granddad. The James Young house on the north side of Red Mountain Road, 02.07.09. His lumberyard was located on the south side of the road.